Before approaching the main statue, visitors will walk through the Foquan Temple (sometimes referred to as “Fuquan”). 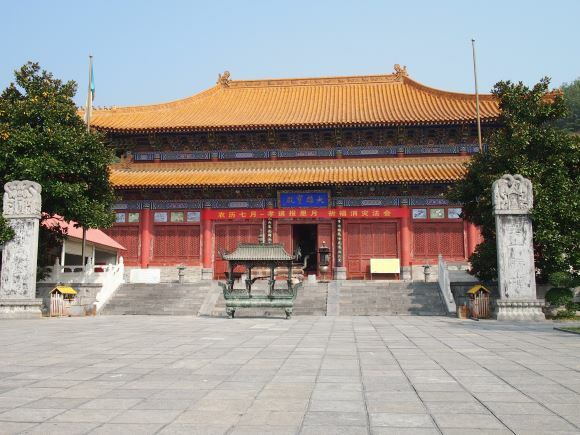 The temple itself is quite old and was built during the Tang dynasty (618–907 AD). During this era many monks were housed in the temple, and it was a focal point of Chinese buddism known to some as the Chinese Buddhist’s “Mecca”. 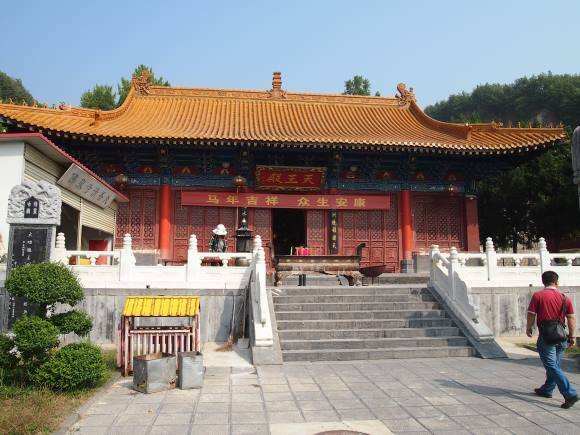 In comparison to other popular Chinese Buddhist temples, Foquan Temple is not very large in size. To this day it remains an active working temple. A short walk away from the main Foquan Temple halls is the Bell of Good Luck, the largest and heaviest bell in the world and recognized by the Guinness Book of World Records. Weighing in at 116 tonnes and with a height of 8.108 metres it makes quite a sound when struck! It was completed in November 2000 and even though the whole process to create the bell lasted 7 months, the actual casting lasted only 7 minutes. 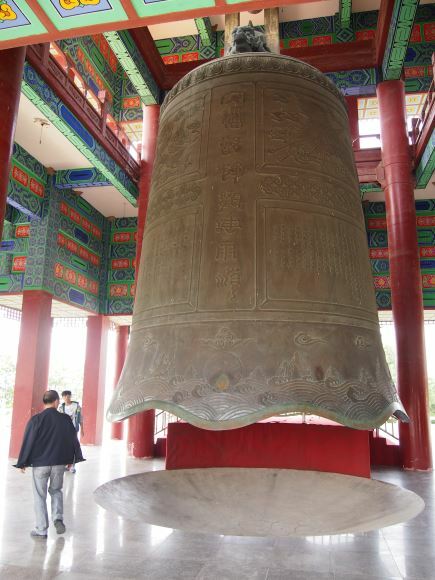 Carved into the bell are 56 designs representing the 56 different ethnic groups within China. It is possible for visitors to strike the bell three times, for a fee of course. Once struck the bell will continue to reverberate for a few minutes. If you have made it all the way to see the biggest statue in the world, then it is worth adding another “biggest” item to your list by walking the 5 minute stroll from Foquan Temple to the bell tower. According to various internet sites, there was once a hot spring which released hot water at 64 degrees celcius up to 15 metres in the air which was situated near the entrace to the Spring Temple Buddha. However it seems that this hot spring has now been covered over by what seems to be the most bizarre space-age looking set of dome buildings. 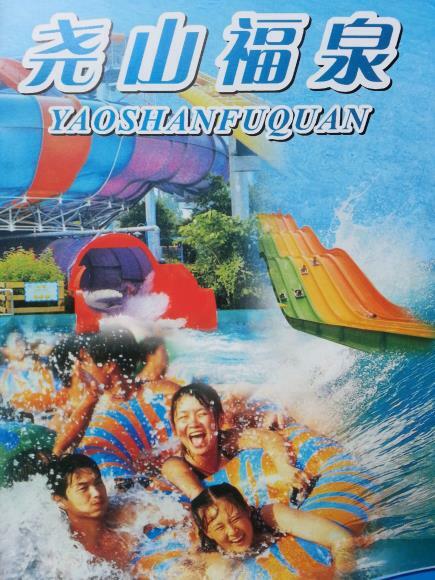 This complex is now know as the Yaoshan Fuquan hot spring complex. 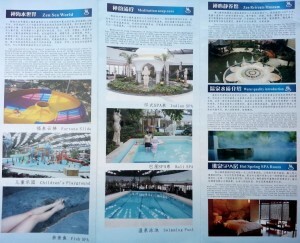 It is an absolutely massive indoor water centre with dozens of hot spring baths, waterslides and pools. However when the Lone Traveller arrived, it was completely empty – not a person in sight apart from the staff. It was probably built in anticipation of huge crowds coming to visit the Spring Temple Buddha statue – crowds which never materialised. 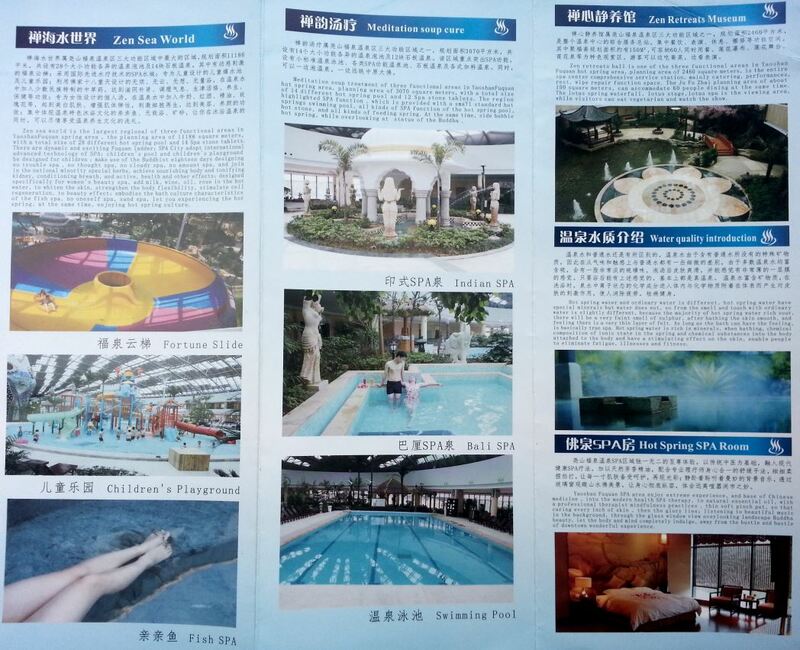 According to the marketing material, the site covers 11186 square metres and has 28 different hot spring pools and “14 spa stone tablets”. Some of the other features are: waterslides, an aquatic children’s playground, swimming pool, a Bali spa, an Indian spa, a “Zen Retreat” area, “spa capsules”, massage rooms, a fitness centre, ping pong room, restaurant and bar just to name a few! The whole centre seems very much out of place given the surroundings, and the complete lack of people add to its strangeness. If you are adventurous and want to check out something completely different then it might be worth a visit. 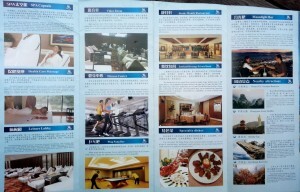 A quick search of the internet shows the adult entry price to be approximately 100 yuan.